What does that mean exactly, to ‘preserve, protect and defend’ the Constitution anyway? ‘You can keep your health insurance if you want’. He said it at least 29 times on nationally televised events. We can even say it on our sleep. Except we can’t. Our high deductible policy has been summarily canceled and executed by BCBSNC as of December 31, 2013. The next most affordable plan we can find is almost 100% more than what we currently pay in a self-employed individual policy. Millions of others are in the same boat as we are today with more to come on a daily basis. 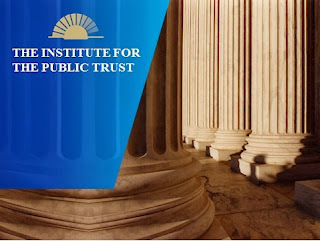 We have been very fortunate at The Institute for the Public Trust to have the ability and occasion to invite constitutional scholars to come in and explain in minute detail what the Framers of the Constitution had in mind and what specific things in the Constitution ‘really’ mean. What the heck is that all about? It is the first recorded ‘white-out’, spellcheck, grammar resolution function in our nation’s history. Right there in the Constitution. Making corrections to the previous long handwritten document. They were NOT going to rewrite the whole thing after 4 months of tortuous debate in hot, smelly, unsanitary Philadelphia during the summer of 1787. The gist of what we heard this past week can be encapsulated in the piece by Keith Hennessey above. 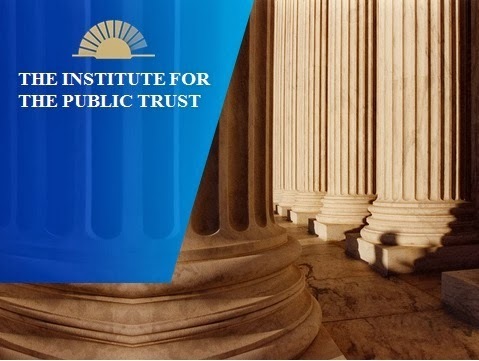 Our representative democracy depends almost completely on men and women of brains and integrity working to ‘defend and protect’ the Constitution once they are in office. Whether as elected representatives or staff selected to serve those elected officials. Political people don’t usually think that way. Their job is to ‘get their guy or gal elected!’ whatever it takes. The problem almost always arises when the political people go into the White House or any elected representative or Senate office to ‘run things’. They typically have a blind eye to what it takes to run the government and serve as a 'public servant' sworn to defend the Constitution...but they do have a keen sense of how to 'get your man elected so your side can win! Haldeman and Ehrlichman ran the White House for Richard Nixon…and we got Watergate. Bill Clinton had his close political allies in the White House run things in the White House in his first term when things didn't get done. Erskine Bowles took over the chief of staff job in 1996 and then he started to get things done for the nation as a whole, not just to advance Clinton's political interests. Mr. Hennessey points out the most important things that goes into the success of the American Democratic Republic Experiment for these past 224 years. Truth and honesty on the part of our elected leaders. ‘As someone who spent countless hours ensuring Presidential policy accuracy, the idea that an Obama White House staffer would lose such an internal battle, that they would give President Obama a speech staff knew was wrong, is beyond my experience. Those are harsh words. But those are true words based on the everything we ever saw working on Capitol Hill as chief of staff in the employ of former Congressman Alex McMillan of Charlotte for a decade and then later with Senator Elizabeth Dole of North Carolina as well. We took extreme measures in both campaigns and offices to check, back-check, double-check and triple-check facts and figures so as to never put the elected representative and senator in a bad light of appearing to be outright lying to their constituents and the American people. Elizabeth Dole had over 35 years of public life we had to dig deep in to research to make sure that she did not say things during the campaign that were contradictory to prior statements and if she had had a change of heart, be able to explain why in a coherent fashion. The moment a politician is caught lying, their effectiveness diminishes considerably. In 1990, he signed the 1990 Budget Act that had new taxes in it but it also had all of the budgetary ingredients that ultimately led to the balanced budgets of 1998-2001; PAYGO; Discretionary Spending Caps; Credit Reform among other. He did the right thing for the country in that regard. But he did break a promise. President Bush 41 paid for it by not being re-elected in 1992 when he lost to Bill Clinton. Maybe President Obama felt as if the price of lying about Obamacare was worth it to get universal coverage for all Americans. He may prove to be on the right side of history on that score. Then again, he may not. Regardless of the outcome, President Obama has now entered the 'death valley' of American politicians who have willingly lied to the American people. He can't be defeated for re-election which is more than a little convenient when you consider that he was re-elected 1 year almost to the day before people realized just how big of a whopper he has laid on the American people. But President Obama can and will be subject to the same disapproval ratings that every President has seen in their second terms. Presidents Jefferson and Madison proved to be so unpopular in their second term due to policies they enacted that historians estimate they may have left office with approval ratings equal to or below Richard Nixon when he resigned in 1974. 24%. Who were those people and where did they live...San Quentin and Leavenworth Prisons? The American people are a forgiving people. They will forgive someone once they get caught in their lie and then ask for forgiveness. Look at President Clinton for goodness sakes! He is beloved and revered by many after he confessed to the truth about the Monica Lewinsky affair and moved on with his presidency and life. But Bill Clinton will not be regarded as 'great' of a President as he and his admirers would hope he would be. Wonder if that is the same place where 'you can keep your health insurance if you like it'? We'd like to find it again.